Instructional Design / Instructional Design Vs. Learning Experience Design: Is There Really A Difference? 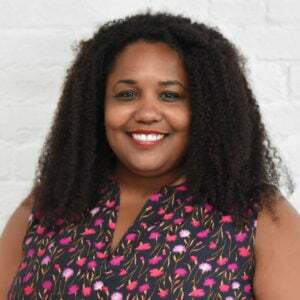 I’m an educator in the heart and by trade, and I have played many roles in the industry including that of the instructor, curriculum writer, course developer, and Instructional Designer. Now, I work full time as an eLearning Strategist – a combination of the above – depending on what my clients need. In April 2018, I joined a UX+UI (User Experience and User Interface) Bootcamp with the goal of building mobile learning apps (for adults, not kids). With my new skills and knowledge, I started searching for clients and/or projects with the same goal. I added new UX keywords to my original search (user research, information architecture, etc.) and to my surprise, I found a new world, Learning Experience Design or LXD. Out of curiosity and FOMO, I wanted to know what it was, how it may impact the work I do, and whether there was an opportunity there. So What Is LX Design? "At first glance, it may appear that UX Design and Learning Design are poles apart but, in reality, many UX Designers will become involved in Learning Experience Design when creating help, tutorials, onboarding, etc. for their digital products. There are many similarities between Learning Design and UX Design, fortunately, and it can be relatively easy for skilled UX Designers to adapt their skillset to learning experiences." "LX Designers, in contrast, merge design-thinking principles with curriculum development and the application of emerging technologies to help faculty tailor content to student behaviors and preferences." "Learning Experience Design™ is a synthesis of Instructional Design, educational pedagogy, neuroscience, social sciences, design thinking, and User Experience Design." How Is It Different From Instructional Design (ID)? Designs and develops online learning experiences, including courses and programs, in alignment with best practices in online pedagogy and User Interface Design. Partners closely with faculty and programs to create best-in-class online experiences. The Instructional Designer is responsible for facilitating the design process for effective, quality instruction, and providing pedagogical and curricular consultation for online course development. The Instructional Designer works closely with faculty and Subject Matter Experts (SMEs), researching and incorporating current industry trends, proven instructional strategies, and quality measures into the curriculum. Being formally trained in both ID and UX+UI, I found a considerable overlap in the process. In fact, the UX process is fun and very familiar to me. If someone is a UX and UI Designer, then a big difference is UI because you're building applications from scratch, as opposed to working with existing software (i.e., Learning Management Systems and educational technology). Now, that I’m working on a mobile learning app, I’ve noticed a difference in resources. UX/LXD has many great and newer technologies available for every stage of the process. However, they can be easily applied to ID. 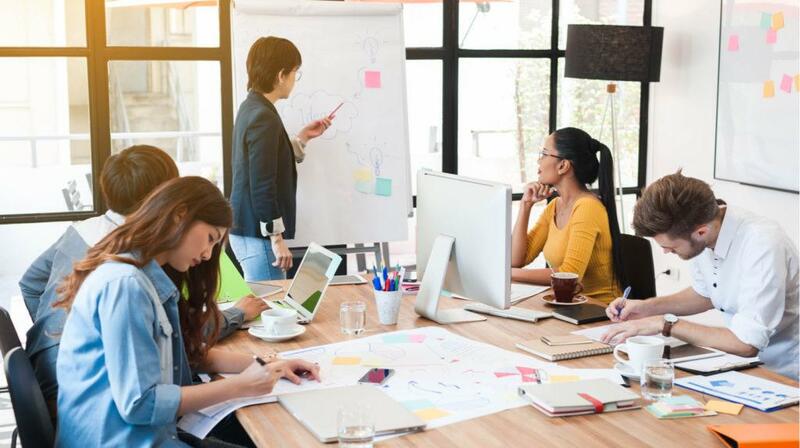 Some Learning Experience Design research suggested that the Instructional Design process misses critical elements such as the user-centered or learner-centered approach. I think this is subjective, for two reasons. The process is the same. 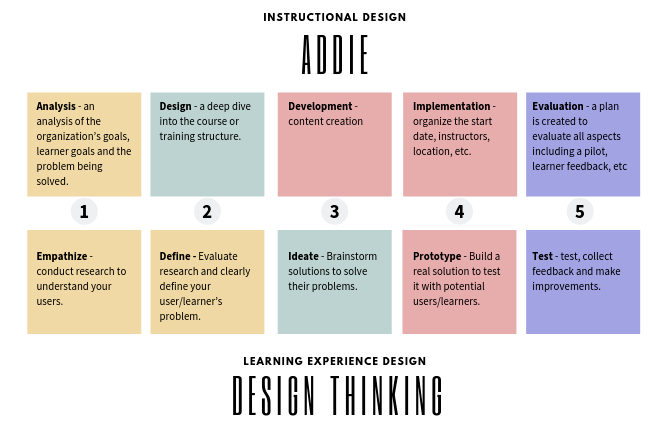 In both the ADDIE model and design thinking, your first step is to understand your learner—their needs, interests, and pain points. From there, you create a learning experience. Second, if you are a good Instructional Designer, then you are learner-centered at every step. How Will LXD Impact The Education Industry? While LXD is still relatively new, it is rapidly growing. In a quick LinkedIn search, I found 2,908 Instructional Designer positions and 1,109 roles of Learning Experience Design. I think we will start to see both Instructional Designers and UX Designers compete for the same positions. The challenge for Instructional Designers will be having an understanding or experience in UX, and UX Designers will lack experience or knowledge in Instructional Design or education in general. So, is there a big difference between ID and LX? Curious to hear your thoughts.